*Authorized KALLISTA Plumbing Dealer* Simon's Hardware & Bath is the go-to choice for high-end residential remodelers, contractors, designers, and homeowners. Simon's has been providing excellent customer service to New Yorkers since 1908. With over 100 years of experience and showrooms located in Manhattan and Water Mill, NY, Simon's will satisfy your every remodeling and renovation need. Visit our new additional showroom at 481 Washington Street in SoHo! SPRING SALE - 40% OFF STOREWIDE! Since 1987, Focal Point Hardware has been the exclusive USA carrier of the finest European brands. We are the top choice of architects, designers and homeowners. We offer the highest quality products by top brands including Robern, KWC, Dornbracht, Newport Brass, Miroir Brot and many more. We also offer European brands that are hard to come by in the USA. Our friendly staff at the showroom are ready to help you pick out the perfect products to enhance your home remodel. Or, if you are too far from us, you can visit our website which offers a large variety of products with some great discounts. We ship all over the United States and Canada! Feel free to contact us with any questions about specific products and we will do our best to help you! Fantini is an Italian manufacturer inspired by water to produce innovative fittings and fixtures for the kitchen & bath with today’s leading designers. Founded in 1947 on the shores of Lake Orta in Northern Italy, Fantini has worked with world renowned designers and architects such as Piero Lissoni, Naoto Fukasawa, Rodolfo Dordoni, and Matteo Thun to become one of the most innovative and trendsetting manufacturers of high quality faucets and shower systems. Functional Elegance…our motto and two words that capture the very essence of Madeli’s design philosophy. Call 1-888-850-3999 Monday-Friday 9am-7pm It's never been a better time to invest in your home by renovating your kitchen or bathroom! The discounts we pass on to you at Home Perfect keep your project costs low so you can get your maximum increase in property value. What better way than to do it while enjoying your new luxury Oasis? It's a win-win! We've been in the internet business going on our tenth year now, which means our customer service, low prices, and state of the art website is unrivaled and unmatched in this industry. HomePerfect.com is one of the best-kept secrets on the Web. We're an online-only retailer of home furnishings from brands you know and love, including Kohler, Grohe, Blanco, Toto, Robern, Moen, Danze, and other leading manufacturers. We offer lower prices, personalized customer services, and fast, free shipping of most products to anywhere in the United States. Unlike many online stores, our phone number isn't hidden deep within our site. It's right up front, so you can call any time with questions or to place an order. And if you can't find what you're looking for, our sales experts are happy to offer tips and ideas. With an uncompromising dedication to quality and a passion for style, Kraus is a market leader in kitchen and bath fixtures. Driven by the desire to make great design affordable, our commitment to manufacturing fixtures of the highest quality in both appearance and structural resilience is evident in every aspect of what we do. All Kraus products are created to fit lifestyles as well as budgets, with a focus on versatility, enhancing any décor with timeless style. Constructed from best-in-industry components to guarantee the highest level of performance, our eco-friendly solutions feature durable lifetime finishes and innovative technologies like DrainAssure™, all-Brite™, NoiseDefend™, Hands 'n Pans™, and more. By educating consumers on the value and importance of using top-notch materials for longer lasting products, Kraus has raised consumer expectations in the kitchen and bath industry. From style-savvy design enthusiasts to budget-minded remodelers, we strive to make great quality and style attainable for all. As we grow, our top priority is always to create state-of-the-art products and personalized support for the customers and partners who helped build Kraus into the brand it is today, and every interaction with us reflects this commitment. When you buy Kraus, you get much more than just great kitchen & bath fixtures: you get a partner for a lifetime of care, with a Limited Lifetime Warranty guaranteeing your satisfaction from purchase to installation and beyond. Discover your kitchen and bath inspiration with Kraus, and Live Beautifully™. To learn more about our products and the Kraus brand, please visit our website at www.kraususa.com. For 30 years, Home & Stone has been providing high-end kitchen and bath fixtures as well as specialty hardware from around the world. At our Brooklyn-based, 4,000 sq foot showroom, you can browse our extensive selection and always find something innovative, luxurious and unique. Our staff is knowledgeable, energetic, and experienced, and happy to provide guidance on all projects, whether you’re doing a simple renovation or building your dream home from the ground up. Above all, we are focused on ensuring your experience with us is satisfying and enjoyable from beginning to end. We invite you to visit us for a personal shopping experience. Please call 800.853.3077 or 718.787.1000 for an appointment. Wood Essentials medicine cabinets, built to order by American craftsmen using only the finest woods, will add a lifetime of traditional beauty to your new or remodeled bathroom. Carefully selected woods are fashioned with age-old craftsmanship and precision 21st Century tools to create cabinets that last a lifetime and more. A wide selection of sizes, superior hardware and finishes combine to assure the look you want. Customization is available to meet your special needs. Anna Gratia is an interior design and retail firm. We aspire for the designed life style: our life focus and inspiration are equal and unify organically. Our goal is to find solutions that are exploratory, educational and innovative. We work with the belief that process and collaboration should be as exciting and fun as the end result. At Anna Gratia we love what we do and want to share our inspiration with our clients! Let's work together! Send us and email to get started! DXV by American Standard is a Portfolio of Meticulously Crafted Fixtures and Faucets that Celebrate and Re-Imagine Design Movements of the Past 150 Years. Mr.Steam makes the world's most luxurious steam showers and steam baths. 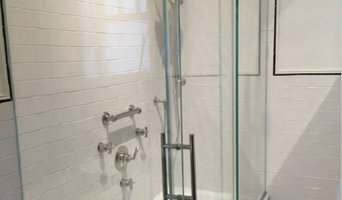 Towel warmers, aromasteam, chromasteam, in-shower seats and in-shower speakers. We are committed to bringing the finest home decor products with a modern look and feel to your bath and living areas. Its a widely held belief that the two best places to upgrade or renovate your home are your kitchen and bath. With our wide selection of range hoods, kitchen sinks/faucets, bathroom vanities, showers, and bidets, we definitely have what you're looking for to modernize your home! At PARMA HOME we always have a solution for all of your renovation needs renovation needs. Some of our variety of products include bathroom vanities, bathroom accessories, tubs, bathroom faucets, shower equipment, whirlpools, bathroom sinks, interior doors, lighting & fans, storage equipment, mirrors, kitchen equipment as well as other hardware related items. We are your ultimate destination as well as your one stop shop if you are looking for exquisite quality and style. Our prices are highly competitive and we will gladly suite any of your needs from accommodating for an entire renovation to simply providing a single item, which you may be seeking. 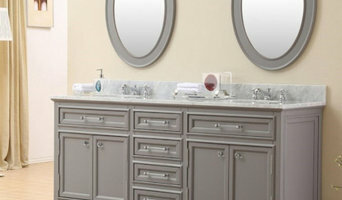 Effeti USA, Inc (www.effetiusa.com), offers luxury Italian kitchen cabinetry and design services to trade and consumers. All kitchens are custom made to order at the Effeti factory in Florence, Italy. Our showroom is located in the historic "Terminal Stores" building in the Chelsea Arts/High Line district in Manhattan. Founded in Italy in 1963 as “Falegnameria Toscana,” it is now recognized as Effe’ti (FT). Effeti’s modern designs are attributed to its world-renowned designers: Giancarlo Vegni, Monica Armani, and Gabriele + Oscar Buratti. Vegni has collaborated with Effeti since its inception and has designed products for Valli, Belligotti and Zanussi, among others To complement its designers’ visions, Effeti also utilizes high-quality materials to ensure durability and sustainability. Cabinets are available in solid wood, hand-sprayed and polished lacquers, wood veneers, glass and high-quality laminates. All components are made in the factory in Florence, Italy to ensure control over the entire construction and finishing process. Use the Houzz Professionals listings to find Manhattan, NY kitchen and bath accessory vendors. Don’t rule out asking a kitchen manufacturer’s design team for help, too. Skills often can be overlapped to save you time and money! Here are some related professionals and vendors to complement the work of kitchen & bath fixtures: Kitchen & Bath Designers, Kitchen & Bath Remodelers, Interior Designers & Decorators, Cabinets & Cabinetry. Find kitchen and bath fixtures and accessories, plus installation experts, on Houzz. Check out New York kitchen products and installers, and bath plumbing products and installers, on Houzz. You can also look through project photos provided by Manhattan, NY renovators, retailers and designers.